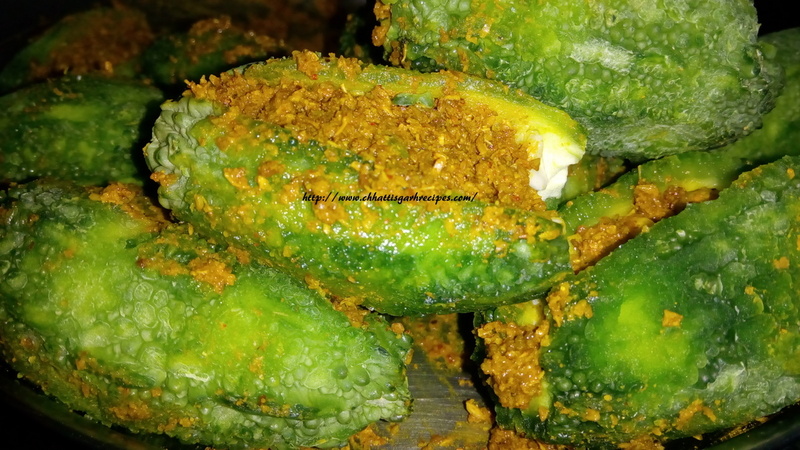 Chhattisgarhi method of stuffed karela is the most simple and easy recipe to cook ,which takes minimum efforts and contains its most of the nutritious elements. 1. Take half a kg bitter gourd or 4-5 pieces of it. 2.Wash them once and start peeling the outer rough cover of it with the peeler. 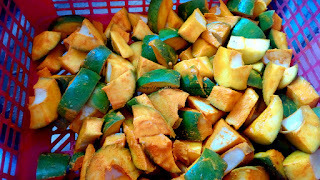 3.Wash them again and slit the bitter gourd on center in length. 4.Repeat the process with all bitter gourds. 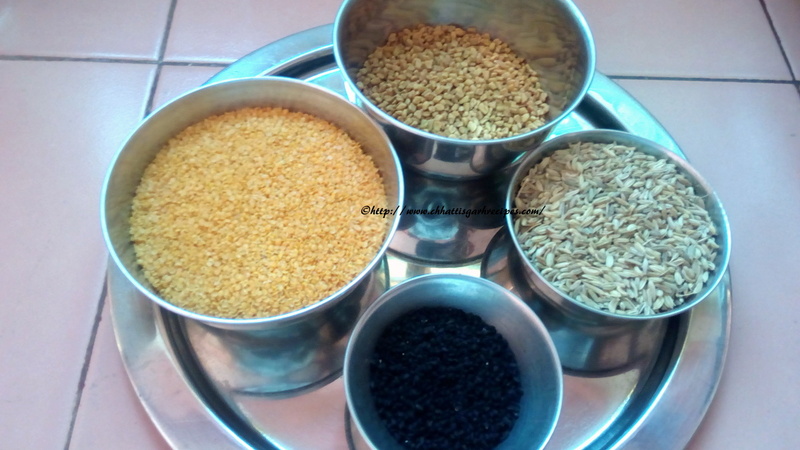 5.You can remove the seeds on choice as in Chhattishgarh people love having them with the seeds. 1. Take 3-4 table spoon of coriander powder .The coriander powder is the base of stuffing so quantity would be little more than other ingredients. 2. Add 2-3 table spoons of cumin powder , the second ingredient which is more in quantity. 4.Add Turmeric and red chili powder half a table spoons each . 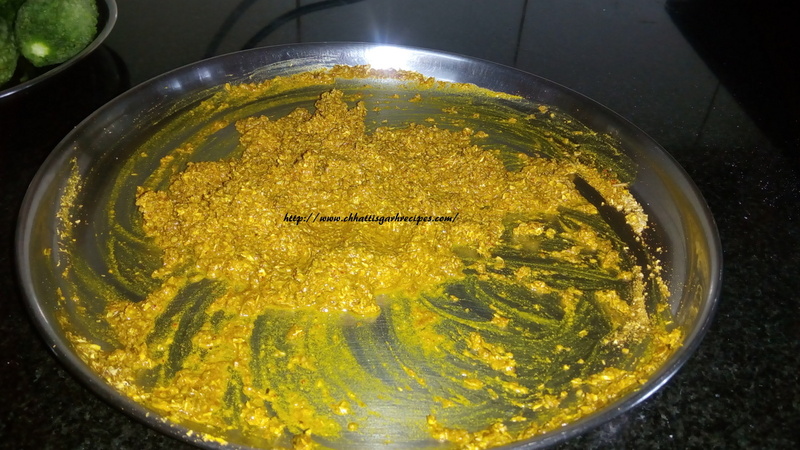 5.Sprinkle dry Mango Powder half a table spoon of squeez half lemon juice. 6 . Pour little water on ingredient mixture and start mixing it with hand or spoon . 1. Now Open the bitter gourd from the slitted center and start filling it ,with the small quantity of prepared stuffing. Stuff all the bitter gourd with the same process. 2.Take a pan and heat the Oil in it . 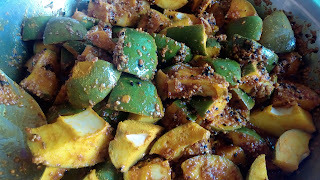 3.Once the oil is warm enough ,start putting the stuffed bitter gourds in the hot oil gently one by one. 4. Cover the lid and leave it for some time on medium flame. 5.After 7 to 8 minutes open the lid and turn the bitter gourds gently to other sides of it. 6.Don't cover it and cook them at lower flame for 10 more minutes. 7.Stuffed bitter gourds are ready to serve with steamed rice and daal. 1. 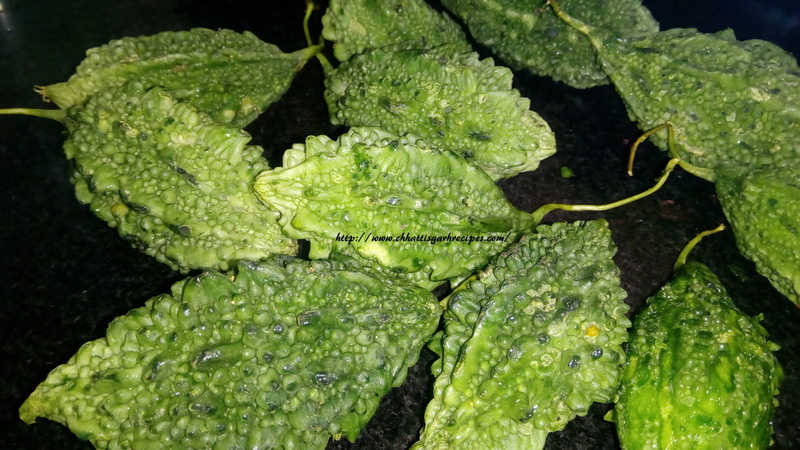 Small size of bitter gourds are preferable for bharwan or stuffed karela ,though you can cut the the bigger bitter gourds in 2-3 pieces. Take half a kg of bitter gourd ,wash them thoroughly. 2.Remove the upper rough outer layer of it and wash them once again.Some people soak them in salt water to remove the bitterness of but we avoid that process.Now give a vertical cut on center of bitter gourds.Few people prefer removing seeds but in Chhattisgarhi method of preparation we retain the seeds inside. 3.Its time to prepare filling with coriander powder,cumin powder ,red chili powder,salt,turmeric powder and little dry mango powder or lemon juice. 4. Pour some water and mix all the ingredients well and start stuffing the bitter gourds one by one. 5.Take some oil in a pan and heat it . 6. Once it gets hot enough then start putting bitter gourds one by one .While doing the procedure one has to careful about the hot oil .Cover the lid and let it cook. 7.After 15-20miutes of the cooking stuffed bitter gourds get ready to serve .This recipe can last for 5-7 days in freeze. 1. Take 6-7 green chilies ,long ,light green and thick ones. 2.Give a long cut in centre and remove the seeds completely . 3. 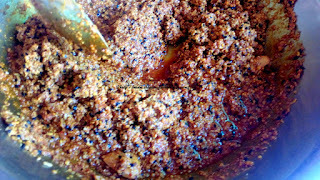 Fill little ajwain (carom seeds) in each deseeded chilies. 2. Pour the water in the mixture stir them well and make a batter with medium consistency, neither thick nor very thin. 1. 250 ml of oil in a kadai or pan and heat it. 2. Pour a drop of batter in oil to check that oil is heat enough. 3. Now dip the slitted green chilies in the gram flour batter and drop in the oil (you can directly do it with hands or spoons) . 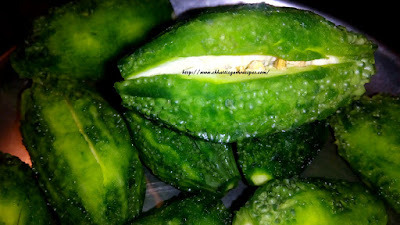 4.Repeat the process with all the green chilies . 5. 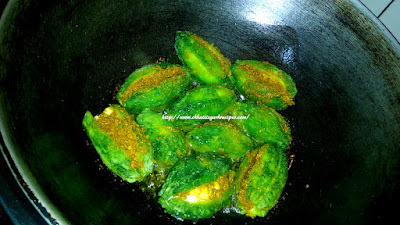 Mirchi Bhajiya(bhajji) or Fry green chilies are ready to serve with green chutney or sauce. 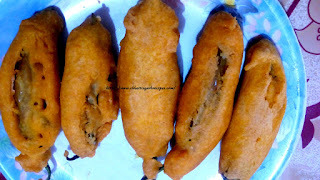 Note: Mirchi Bhajiya(bhajji) or Fry green chilies are a example of combination of simplicity and taste . This recipe is loved by all Indian .In Chhattisgarh its considered as breakfast,tea time snacks as well as side dish ,which increases the taste of main meal.It is made out of vegetable with gram flour so you can considered as healthy recipe if consumed in limited number :). 1. 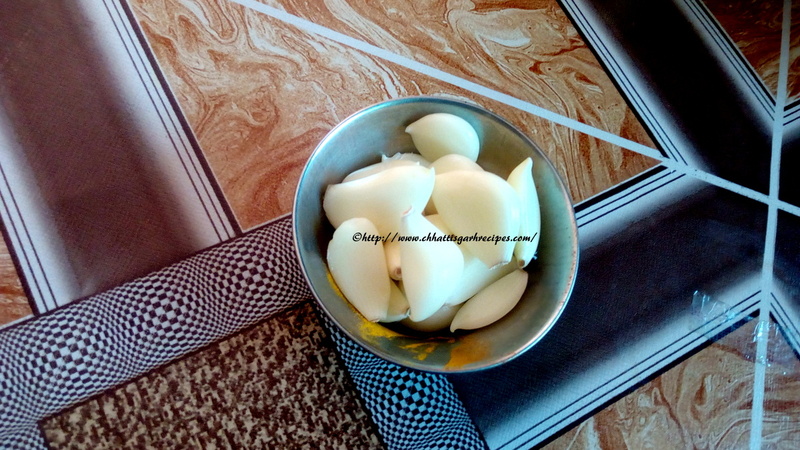 Take 4-5 potatoes and boil them in cooker or steamer . 2. Meanwhile choop the 1-2 green chilies, green coriander leaves,fine chop 1 onion(optional). 1. Once potatoes are boiled and cooked,let them get cold. After some time,remove the outer layer of potatoes and mash them well . 2.Take 2-3 tea spoons of oil in a pan and heat it well . 3. Now put mustard seeds,cumin seeds, curry leaves,ground nuts/cashew,chopped onion and saute it for some time. 4. 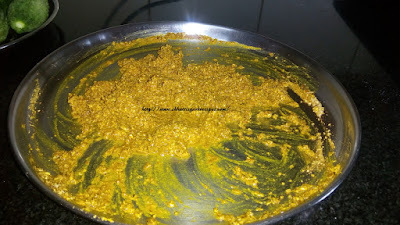 Add Salt ,turmeric powder,coriander powder , mango powder and mix them well . 5.Now add mashed potatoes in the cooked ingredients and make a mixture out of it . 6.Sprinkle the chopped coriander leaves on it. 7.Once the potato mixture gets cold start making balls out of it . 3. Now dip the potato balls in the gram flour batter and drop in the oil (you can directly do it with hands or spoons) . 4.Repeat the process with all the potato balls. 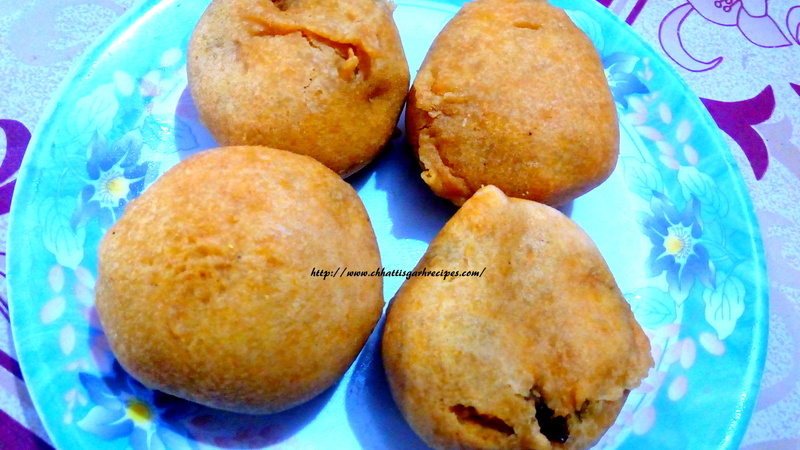 5.Aloo gunda or aloo bonda or batata vada is ready to serve with green chutney or sauce. 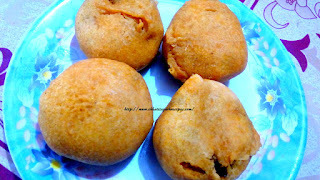 Note : Aloo gunda,Aloo bonda or batata vada are few name for these tasty and easy recipe which is very famous across India as snacks or street food.In Chhattisgarh this potato balls are know as Aloo Gunda.The aroma of this mouthwatering recipe is very common in any of the local market ,restaurants,local celebrations or any parties in Chhattisgarh. 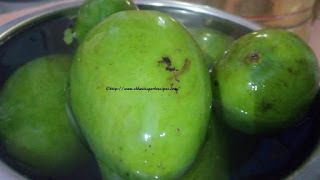 Follow us on Youtube for step by step method of Mango pickle. and dip it in the water. 2. 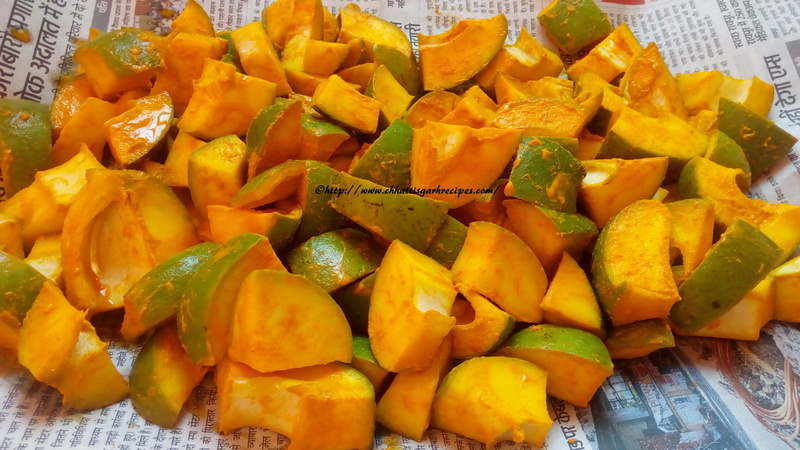 Now cut the mangoes in equal pieces with the help of mango cutter or a knife.You can cut the seed along or remove it completely. 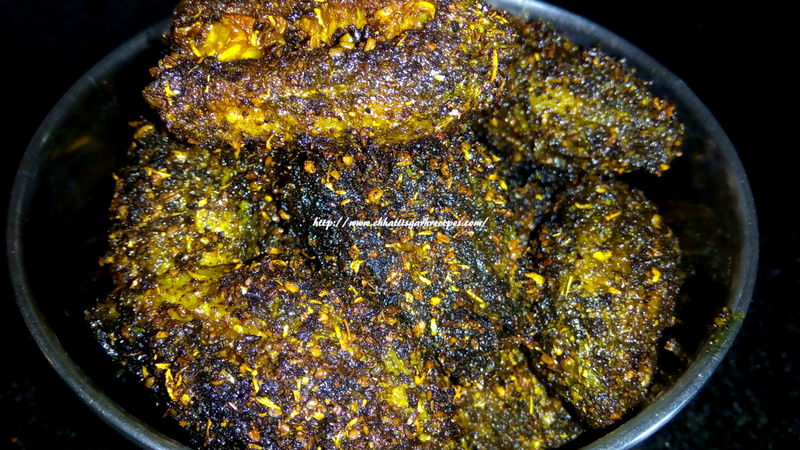 3.Once the cut pieces are ready, marinate them with some salt as well as turmeric powder on it. 4.Now cover the salted mango pieces and leave it for whole night. 5.The next morning extract the water completely , which has come out from the mango pieces. 6.Now spread the mango pieces on the paper and leave it for some time under the fan to get the pieces little dry. 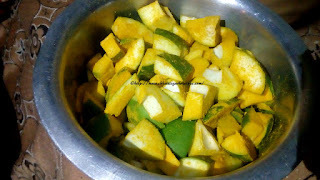 7.Meanwhile start preparing for rest of the ingredients used in Mango pickle. 8.First start with roasting the onion seeds gently in medium flame.Once roast is done, transfer the onion seeds(karayat) in a bowl. 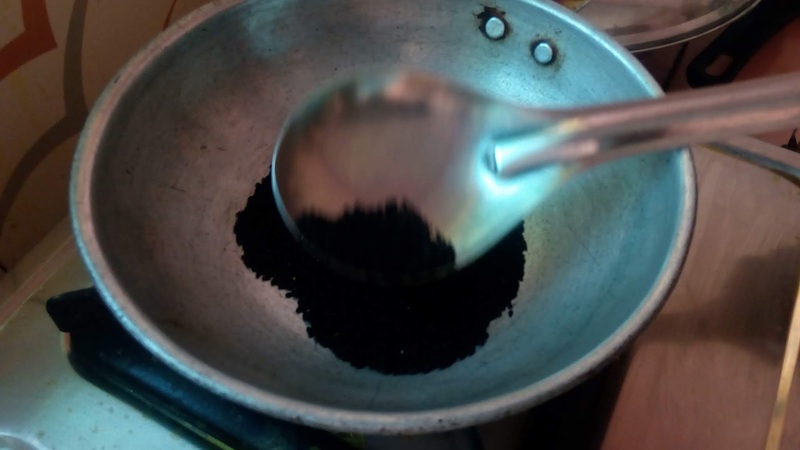 9.Now carefully roast the mustard seeds in slow flame and once its roasted, transfer it in a bowl.Be careful it should not get over roast or burnt. 10.Next, mix the fenugreek seeds and fennel seeds, roast them together. 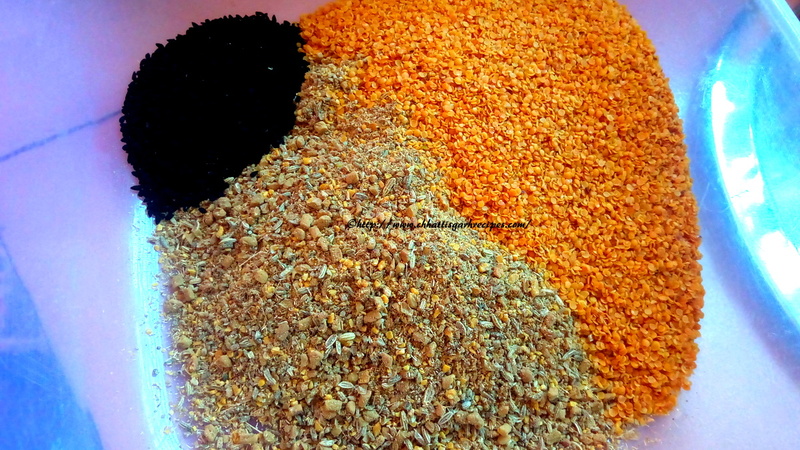 Once both the seeds are roasted grind them together.In between the grinding process, check the consistency.The consistency of grind mix should be coarse.Now transfer the mix in a dry container. 11.Now add roasted mustard ,onion seeds, grinded fenugreek and fennel seeds together.Add salt,turmeric powder,red chili powder and little jaggery to add some sweetness in it. Mix all of them together. 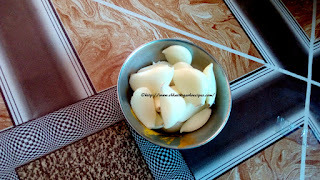 12.Take around 10-15 garlic cloves in 1 kg mangoes. 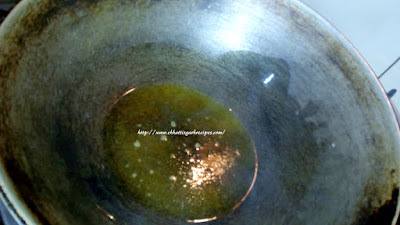 14.Now transfer the garlic added preheated oil in all the mix ingredients and stir them well. Leave the mixture for few minutes. 15.It is time to start adding the mango pieces in the prepared mixture.Mix the all the ingredients well ,so that mango pieces can soak them well. Pickle is ready to transfer in a dry container and leave it for 2-3 days. 16.After 2-3 days take 1 liter edible oil (preferably mustard oil) and heat it .Now switch off the flame and let the oil get cold.After some time pour the cold oil in the mango pickle.The pickle should dip in the oil. 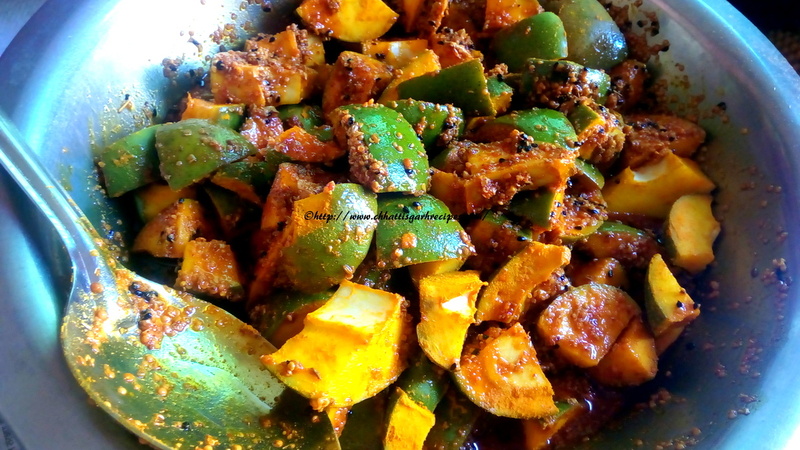 Relish the authentic mango pickle with roti,paratha,snacks or with your meal. Note :Pickle is an important part of our Indian food techniques.In olden days ,there was no facility to preserve food items for longer time. The pickle is a great way to preserve food items for years.In India,there are varieties of pickle prepared and served.The science behind the pickle served with food was ,to get better digestion of the meal.The ingredients of the pickle are the best digestives considered in our traditional food preparation.